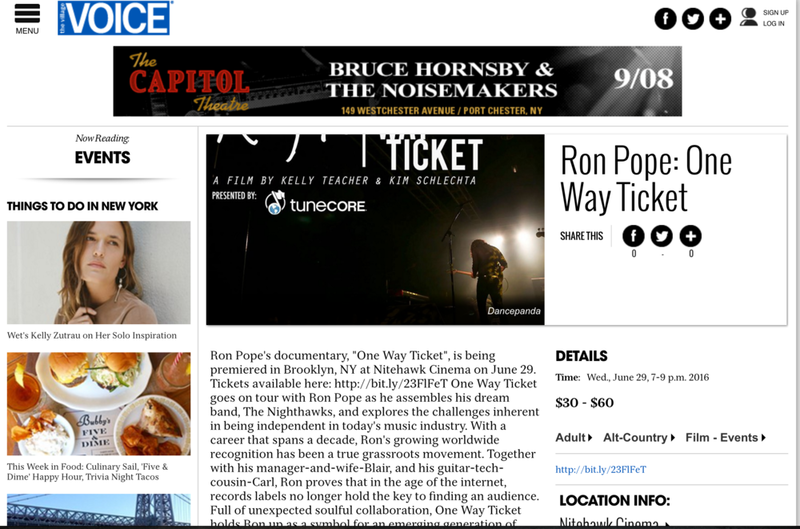 TuneCore and Brooklyn Basement Records are thrilled to present the premiere of Ron Pope: One Way Ticket. 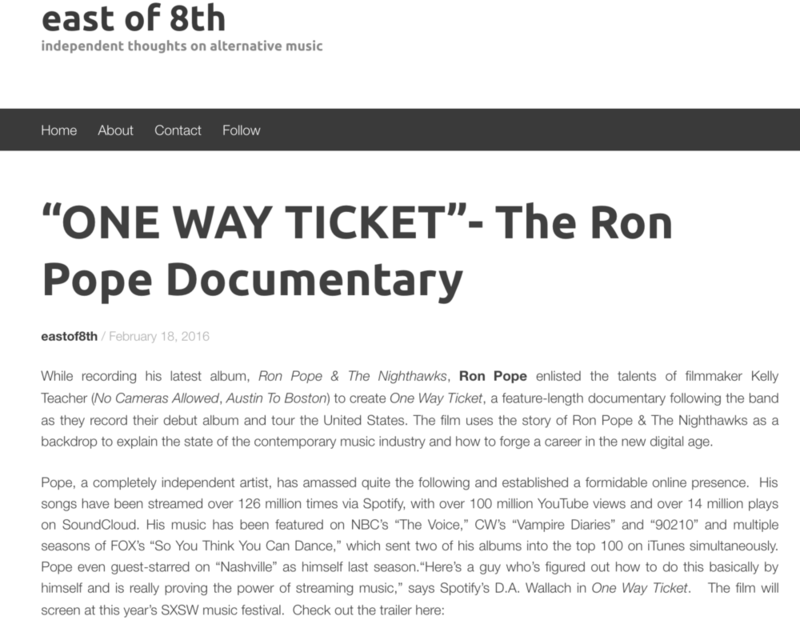 The film goes on tour with Ron Pope as he assembles his dream band and explores the challenges inherent in being independent in today's music industry. With a career that spans a decade, Ron's growing worldwide recognition has been a true grassroots movement. Together with his manager-and-wife-Blair, and his guitar-tech-cousin-Carl, Ron proves that in the age of the internet, record labels no longer hold the key to finding an audience. Full of unexpected soulful collaboration, One Way Ticket holds Ron up as a symbol for an emerging generation of new artists -- and begs the question: what does it take to go the rest of the way? VIP Pre-Party for TuneCore, Brooklyn Basement Records, and VIP fans. 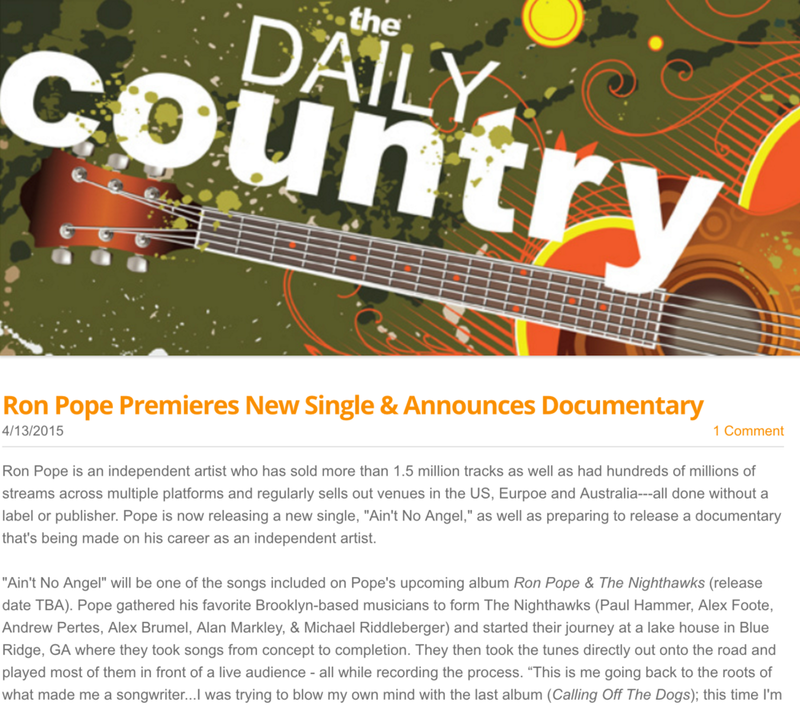 Included acoustic performance by Ron Pope.